Chances are that if you’re a legal professional reading this, you have LawNet open in the next tab. “It’s become an indispensable tool,” one young lawyer says, as she toggles between a legal opinion she’s drafting and a written judgment of a recent Court of Appeal case. 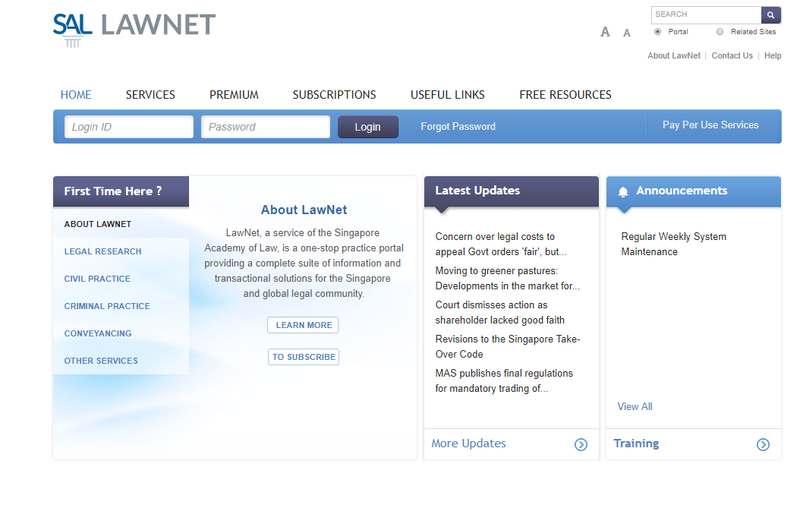 A staple of Singapore’s legal scene since 1990, LawNet is a go-to resource for just about anything law-related. Today’s LawNet is a sleek, mobile-friendly tool, a far cry from its clunkier predecessor of the early 1990s. The programme has kept up with changing needs and technology, taking cues from other software to offer functions that today are more “must-have” than “good-to-have”. 1. ACCESS A LOT OF CONTENT. AND WE MEAN A LOT. Say goodbye to lugging thick legal books back from the Supreme Court Library — from 2018, LawNet made selected Academy Publishing titles accessible to LawNet Basic subscribers. This means you can access parts of perennial legal favourites like and The Law of Torts in Singapore from your desk. Another feature previously only accessible to Premium subscribers is the State Court’s Sentencing Information and Research Repository (SIR), which helps prosecutors and lawyers understand sentencing trends. SIR is now available to Basic subscribers. as well. Sift through all this content easily with LawNet’s bookmarks function, which works in the same way an Internet bookmark does. Organise bookmarks into folders for easy access later. Every billing hour counts. LawNet comes with a client tracker that tracks how much time you spend on research for clients. You can even view and export your research history in a .csv file, which you can open with Microsoft Excel. Sometimes you need to look for something over and over again. LawNet’s saved searches function allow you to do just this. You can also set a reminder to perform the same search at a later time. Plus, by simply setting an alert, you can be notified when new documents related to the selected ones are added into the portal. Relive your school days with LawNet’s annotation feature that lets you use snazzy colours and note boxes to highlight and comment on sections of the documents you’re accessing. You can also easily search for these annotations, or specifically just within them, making legal research less tiresome.